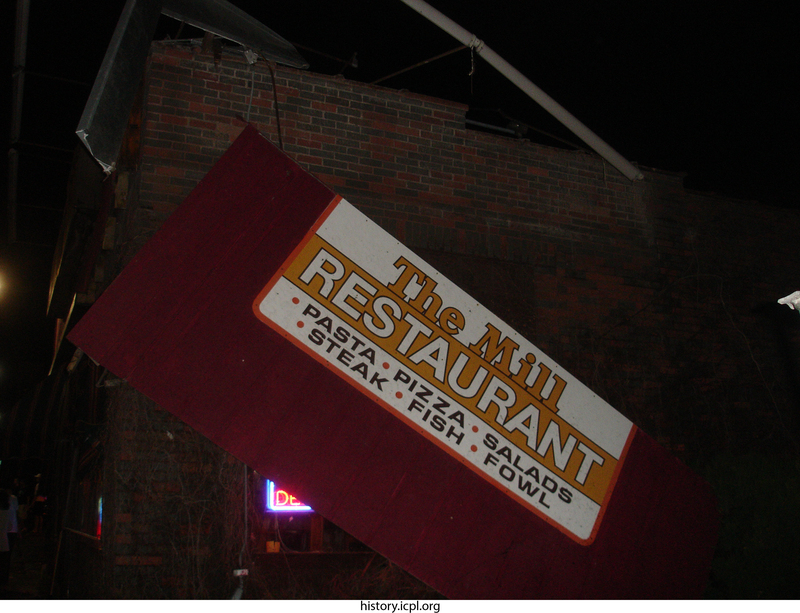 The sign at the Mill hangs askew after the 2006 F2 tornado struck. Educational use only. Copyright Blake Henderson. Hendrickson, Blake, “The Mill Restaurant Sign,” Iowa City Public Library, accessed April 19, 2019, http://history.icpl.org/items/show/2530.